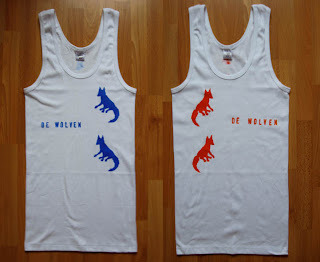 House of the Red Fox: Stamped shirts for De Wolven! 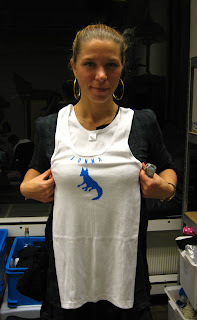 Stamped shirts for De Wolven! To celebrate their new headquarters De Wolven (communication & pr) had a fabulous party on friday the 14th. 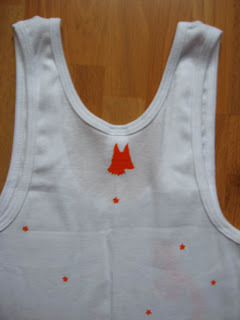 I was there to make live art: Embellishing shirts and knickers with wolvish stamps. Grrrrreat fun!